‘What thrilled me was that the best English wines were (a) so good and (b) pretty obviously English,’ wrote Jancis Robinson during a tasting against Champagne last year. British Fizz has come of age and is now firmly set as one of the world’s great sparkling wines. ‘What they have for long seemed to lack in general is complexity, the two favourite wines of the group were both English and were very fine by any measure,’ added Jancis. 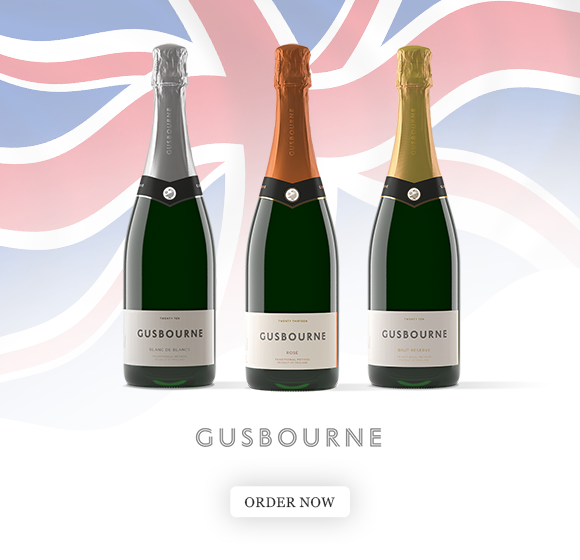 Winning the Best English Sparkling Wine Trophy at the Decanter World Wine Awards and a Gold at the recent TEXSOM International Wine Awards, we introduce Gusbourne – Kent’s finest. 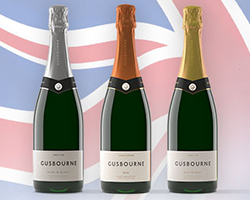 Located 10km off the relatively dry south coast, the Gusbourne estate sits on the warm southern slopes of the ancient Kentish escarpment of Appledore. The extensive 200ha estate is on a single site with 20ha under vine cultivation with Chardonnay, Pinot Noir and Pinot Meunier. 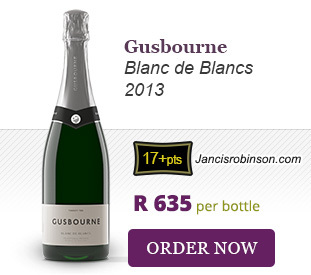 The clay and sandy loam soils sit on top of the famous chalk limestone which is similar to that of Champagne. All 3 wines spent 28 months on the lees, hold a rich acidity and are balanced by 9g/l dosage. 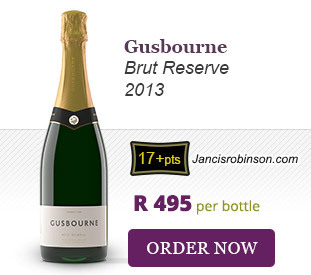 With their racy structure and very fine mousse, they could easily be confused with Champagne. However, look out for the distinct elderflower character and clear-cut fruit that makes them typically English. 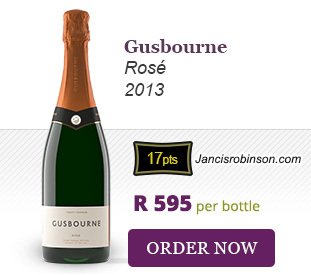 Expect these sophisticated Gusbourne 2013s to age well over the next decade.